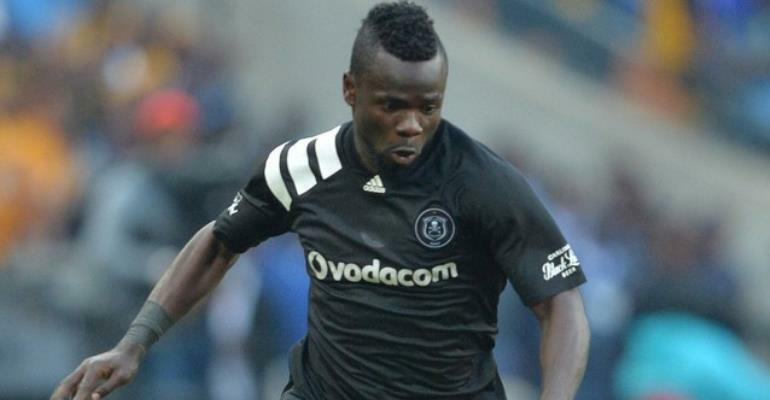 Ghana forward Bernard Morrison registered his name on the score sheet as Orlando Pirates came from a goal down to thump Chippa United 4-2 in an Absa Premiership league at the Nelson Mande la Bay Stadium on Sunday. The Buccaneers were dealt an early blow as Mxolisi Macuphu's 18th-minute rocket shot gave the hosts the initiative. But it took only eight minutes for Micho Sredojevic's charges restore parity after Bernard Morrison orchestrated proceedings from outside the box, working his way inside before his attempted cross was handled in the box by Paseka Mako. The 24-year-old stepped up and made no mistake from the spot-kick as he fired past Brighton Mhlongo. Zambian forward Justin Shonga handed the visitors the lead in the 73rd minute before Katlego Mashego pulled the level for Chippa United in the 83rd minute. And with the game heading for a stalemate, Pirates struck twice in the final moments through Thembinkosi Lorch and Shonga to hand the visitors a 4-2 win. Morrison was taken off in the 90th minute.